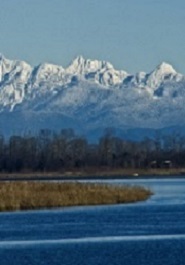 The Delta Division of Family Practice represents family physicians in the communities of Ladner and Tsawwassen. Together, the members work to improve patient access to local primary care, increase local physicians' influence on health care delivery and policy, and provide professional support for physicians. The Division gives local physicians an opportunity to work collaboratively with the Health Authority, the General Practice Services Committee (GPSC), and the Ministry of Health to identify health care needs in the local community and develop solutions to meet those needs. Fetch is a searchable community website that assists the public and health care providers access information about health care services and resources in the South Delta area. When you complete the form and click “Submit to Patient Registry”, you will receive the following message: “Registration successfully submitted - Date & Time”. Please note that you are not able to go back into the system to check your “place in line”. If you currently have a family doctor in Ladner or Tsawwassen, please do not add your name to the list. There are many people who currently do not have a GP and our goal is to have all residents attached. We know that an ongoing relationship with a physician keeps people healthier, longer, and the Division is working hard to recruit family physicians. Thank you for your patience. Delta is a stunning location with a welcoming and professionally supportive community. Ensure access to timely, comprehensive, high-quality, sustainable health care in Delta through collaborative and collegial relationships within a healthy, engaged physician community. An actively engaged, healthy community responsive to the needs of patients, providers, and the public.